'Works' means, 'as ridden by Whyte's pro team', so you can be confident this 150mm-travel carbon-frame Whyte T-150C full-suspension trail enduro rig works very well. This claim was borne out in convincing fashion when Whyte team rider Martyn Brookes won the 2017 UK Enduro National Championship on his Whyte S-150C Works. The S-150 longer travel Whyte 29er full suspension mountain bike is an enduro race-capable trail bike. One look at the S-150 frame and you're immediately struck by its clean looks. The RockShox shock placement and the SRAM Eagle 34t chainset ensure masses of mud clearance. The short seat tube lets you get low on downhills via the dropper seat tube. As ever from Whyte, the S-150 stands out for its geometry. The slack 65.6 degrees head tube angle, the low 335mm bottom bottom bracket and the long top tube counter-balanced by the super-wide bars and 40/50mm stem deliver Whyte's trademark engaging, communicative ride quality that delivers snappy yet stable handling and glues the Maxxis High Roller tyres to the ground - at least till you want to get airborne. If you're still not sure whether you want 27.5 or 29" tyres, the Whyte S-150 comes fitted with 29 inchers but is built with clearance to take 27.5 x 2.8" plus-size rubber, making it relatively easy to switch wheels to match the terrain. 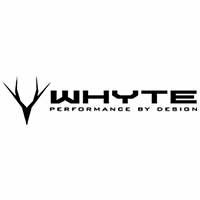 'Our Whyte Enduro team have a secret weapon - the S-150 Works is their bike of choice for the more all-round events. And it’s a winner too, with Martyn Brookes’ victory at the Master’s National Championships in his very first race on this outstanding all-round bike.